The Rio Celeste lives up to its name. Celeste meaning pale blue is the actual color of the river. This color comes from a reaction between the volcanic rock and the river water. This is such a beautiful river and the pale blue give the water a sort of mystic appearance. 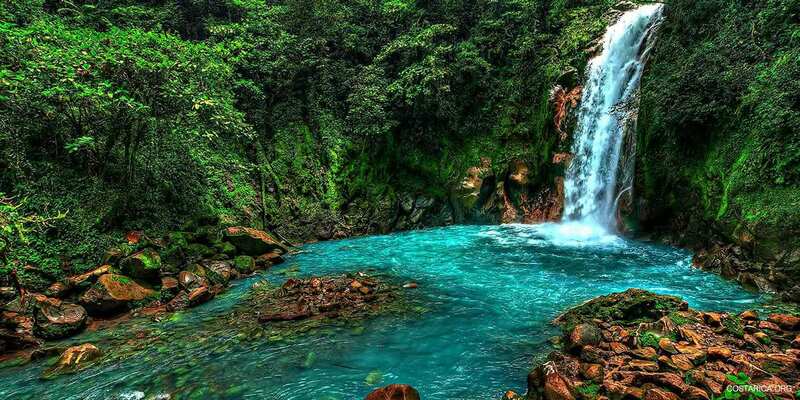 Rio Celeste hotels are located in the perfect area to experience this gorgeous region. The Celeste river is located in the Tenorio National Park, also a part of the river is the amazing waterfall. Not only do you see this blue river but you get to see a really cool waterfall. One cool activity would be to take a hike into the national park to see this waterfall and blue river. Because the park is so secluded not many visitors come by each year. That means you will have all this space to yourself. If you love to be away from the crowds and experience some actual piece and quiet of nature then you will love it here. Let us make this trip the vacation of a lifetime. Have great experience that will last forever and spend quality time with friends or family.